I'm in my early 50s and just beginning to plan for retirement. I recently opened an IRA, but what else can I do to catch up?—Cheryl. It's good that you're finally beginning to focus on retirement. Even more important, by opening an IRA you've taken a concrete step, which shows you're doing more than just musing about it. Given your late start, however, you're going to have to follow up this first step with many others if you hope to materially improve your post-career prospects. Fortunately, you still have enough time to put yourself in a better position to retire, provided you're willing to make a serious commitment. I'm sure it comes as no surprise when I tell you that the single most important thing you can do to improve your retirement outlook is save as much as possible. But the simple fact is, if you don't do that, any other moves you may make won't be nearly as effective. Related: Where can I find no-risk investments? So the first thing you need to do is to stash away as much as you can between now and the time you retire. 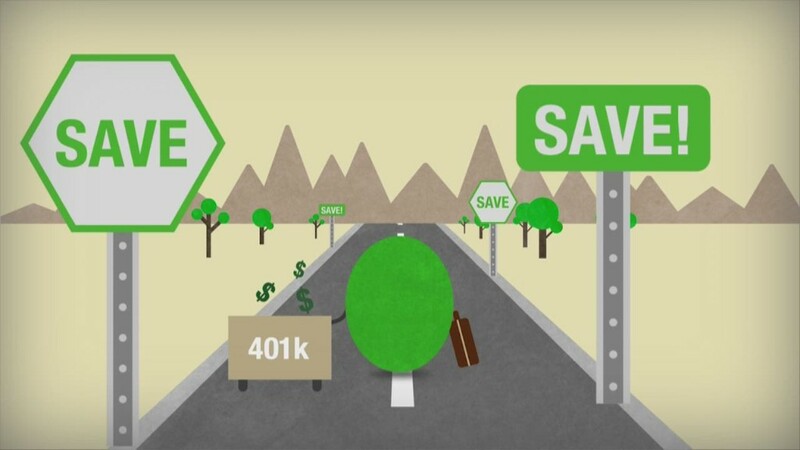 If you have access to a workplace plan like a 401(k), that's usually the best place to do your saving, as such plans typically allow you to save the most money and also make it easier to save (and more likely you'll do so) by automatically deducting your contribution from your paycheck before you get a chance to spend it. Another advantage to a 401(k) and similar plans is that employers usually also throw in matching funds, which can leverage your savings effort. But if you don't have access to such a plan — and since you don't mention one, I'll assume you don't — then an IRA is a good place to start. You can decide later whether you're better off doing a traditional IRA or a Roth IRA, or keeping savings in both. But the most important thing is to put some money away. So for now at least contribute to whatever type of IRA you've already opened. Ideally, you'll want to make the maximum allowable contribution — currently $5,500 plus a $1,000 catch-up for people 50 and older for a total of $6,500. And if at all possible you'll want to get that amount or however much you decide to contribute into your account by this year's April 17th tax filing deadline. That way, you'll also be able to make an IRA contribution for the 2018 tax year. A balance of $160,000 isn't chump change, for sure. But when you consider that your savings may have to help support you throughout a retirement that, as this longevity tool shows, could last upwards of 30 or more years, it's not exactly a fortune either. Which is why you want to push yourself to save more than what you can put into an IRA, even if that means saving in regular taxable accounts. For example, if you can save $12,000 every year ($1,000 a month) you would have nearly $300,000 by age 65, assuming a 6% annual return, compared to the $160,000 or so you'd have saving the current IRA max of $6,500 a year. Boost your savings amount to $18,000 a year ($1,500 a month) and you're talking about a nest egg of just over $440,000. These amounts aren't guarantees. For one thing, you no doubt have other financial obligations besides saving for retirement, so you may not be able to stick to your savings regimen in some years. And depending on how the financial markets perform, your savings could very well earn a lower rate of return (although by sticking as much as possible to low-fee investments you'll likely keep a larger share of whatever return the financial markets do deliver). But you get the idea. The more you can press yourself to save each year, whether in a traditional IRA, a Roth IRA, an employer's 401(k) plan or some combination of these, the larger the nest egg you'll have come retirement time, and the more income you'll have beyond what Social Security alone will provide. Related: Is it too late to jump back into the stock market? There are other steps you can and most likely will have to take to improve your shot at a secure retirement. One is staying on the job a few more years, which can help for a variety of reasons. It gives you more years to contribute money to your retirement accounts and also allows more time for your savings to grow. In the scenarios above, for example, three more years' worth of saving and investment returns would boost the size of one's nest egg by roughly a third, or from almost $300,000 to nearly $400,000 in the case of someone saving $12,000 a year. Working longer can also boost the eventual size of your Social Security check, as each year you delay claiming Social Security up to age 70 increases your benefit by roughly 7% to 8% a year, possibly more since the extra years of work may boost the lifetime earnings calculation the Social Security Administration makes to determine your monthly benefit. To see what size check you might receive at different retirement ages, you can go to Social Security's Retirement Estimator tool. A warning, though. Even if you want to put in a few more years at work to enhance your retirement security, doesn't mean you'll be able to do so. Nearly half of retirees leave the workforce earlier than they'd planned, according to the Employee Benefit Research Institute's Retirement Confidence Survey, often due to health problems, a company downsizing or having to care for a spouse or other family member. Part-time work during retirement can also be an excellent way to compensate for a lack of retirement savings, not to mention be a way to remain more socially engaged. But you have to be realistic there too, and not assume you'll be able to find work you like for acceptable pay. To get an idea of the type of jobs that are currently available for retirees and other seniors, you can check out sites like RetiredBrains and RetirementJobs.com. Assuming you're willing to be resourceful and flexible, there are still more moves you may be able to make once you're retired to enhance your retirement security. If you're a homeowner, for example, you might tap the equity in your home for retirement income by downsizing to a smaller, less expensive house that's also less costly to maintain or by taking out a reverse mortgage, which can provide regular income, a reserve of cash you can dip into when necessary or both. This report on using your house in retirement from the Boston College Center for Retirement Research can explain and help you evaluate those options. Finally, you may be able to squeeze more out of whatever size nest egg you eventually accumulate by relocating to an area that has lower living costs than where you currently reside. You can see how much the cost for such essentials as housing, health care, food, transportation and entertainment can vary among more than 200 cities around the US by going to NerdWallet's Cost of Living Calculator. I'm not saying it will be easy for you to get on track toward a secure retirement. Indeed, the most crucial element of this plan — saving as much as you can possibly stash away — will be tough to stick to, since you apparently haven't been saving on a regular basis to date. But if you save diligently, and combine that effort with some of the other steps I've mentioned, you should be able to significantly improve your post-career prospects, and you'll definitely be better prepared for retirement than had you not embarked on a catch-up plan at all.